Today we have fun blog hop for you! 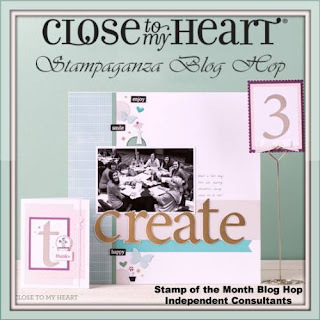 During the month of July we are celebrating STAMPAGANZA!! This is the time to get ALL of our favorite stamps and save while you do! During the month of July, buy any two My Acrylix® stamp sets at the full retail price and get a third stamp set of equal or lesser value free! Choose from stamp sets in the current Annual Inspirations or Seasonal Expressions 2, plus the popular Solos letter and number stamp sets that we've brought back just for July! If you are not familiar with SOLOS, these stamps (letters A-Z and numbers 0-9) have their own stamp set . Solos letter stamp sets include large and small versions of the letter itself, plus additional words that start with that letter. 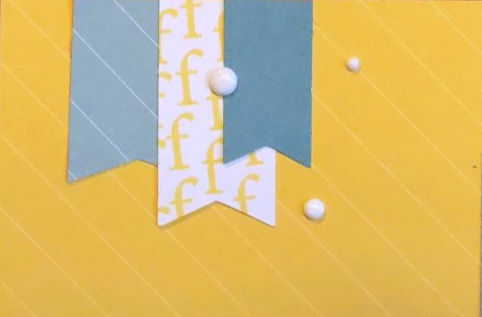 Each letter also comes with unique shapes, icons, and frames. Solos number stamps include large and small versions of the number, plus variations of that word. For example, Solos “6” stamp set also has the words “sixty”, “sixteen”, and a “th” to create words like sixth. Just like the letter stamp sets, each number set also includes unique shapes and icons. No two sets are the same! So.... this blog hop is all about stamps!! If you came from Lauren Moore's Blog, you are on the right track!! Just look for the link to the next blog at the bottom of my post. That will take you to the next blog. The hop is a big circle so when you get back to me, you will know you have completed the hop! I chose to create something with a SOLO "f". It's been a while since I've used a Solos stamp so it was fun to create with it again! Our Solos can create so much fun for layouts and cards! You can even put them together to create words and Titles for pages! You can purchase our SOLOS in bundles for great savings! After July these SOLOS will be gone!! To purchase these or any of our other stamps during this STAMPAGANZA special contact your consultant or order from my website - It's Buy 2 Get one FREE this month only!! Now it is time to hop over to Michelle Loncar's blog and see what she is sharing today! Cute layout! Love the pattern and the papers you used. What fun ideas for using the square to make your background paper. I'm always looking for ideas like this! Your design and colors make a nice background! Wonderful layout! I love the background stamping. Very fun layout and great use of the coordinating stamps! I absolutely love this layout and the colour combination! WOW, the same solo stamp I used and so different! Love love, LOVE! what you've done! 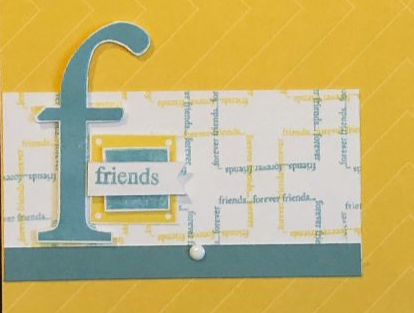 especially the lettered pennant and the patterned paper with the "friends forever squares - Awesome art!! Love your layout!! I love the "F" banner so clever!